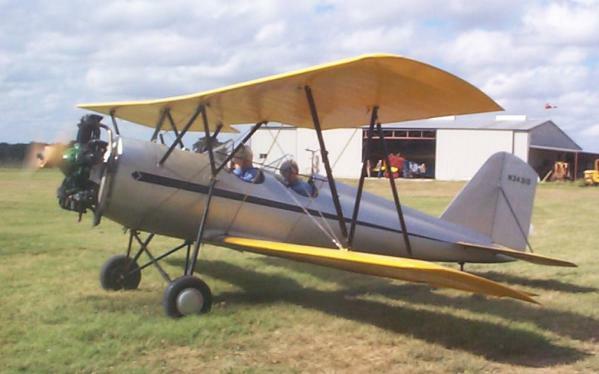 This year's Fall Picnic and Fly-in was a low-key affair. Although it was a gorgeous, warm day the blustery winds kept the aircraft population low, with only a dozen or so planes flying in. The winds also kept the Museum fleet grounded, although the Meyers did do a brief flight. John Goble, the pilot, reported that conditions were extremely rough and he'd cut the flight short because of the turbulence. 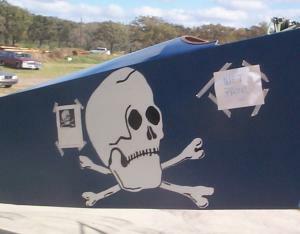 Team Fokker was present, applying the final touches to the D.VII's skull markings. 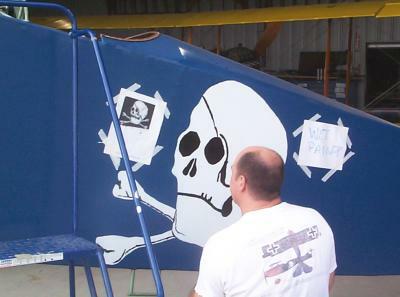 The airplane survived its jaunt to California for a movie role, and with the movie paint stripped off our artists were able to add the shadows and details to the skull. In some cases, it could almost be considered a self-portrait! We were also favored by the presence of some vintage automobiles, who parked near the entrance to the flying field. These beautiful restorations are always popular, and we appreciate their owners taking the time to put them on display. Although it was a low-key event, it was a success. Those who couldn't fly in drove, and the hangars were open so people could pet the Museum's airplanes and vehicles.